Made by David Shaw-Smith for Channel 4, UK, is a series of four, half-hour fishing programmes set on the rivers and lakes of Ireland. Made by David Shaw-Smith for Channel 4, UK, is a series of four, half-hour fishing programmes set on the rivers and lakes of Ireland. 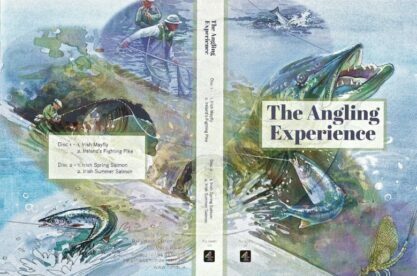 In Irish Spring Salmon viewers will appreciate the skill and patience required to catch a salmon on the river Slaney. Irish Summer Salmon follows two skilled anglers fishing for wild Atlantic salmon in the magnificent Erriff river valley in the West of Ireland. In Irish Mayfly an experienced fisherman shares the joys of fishing for wild brown lake trout on Lough Arrow in Co. Sligo. Ireland’s Fighting Pike gives an in-depth introduction to fishing for one of the most infamous and exciting sports fish. Made in 1988.